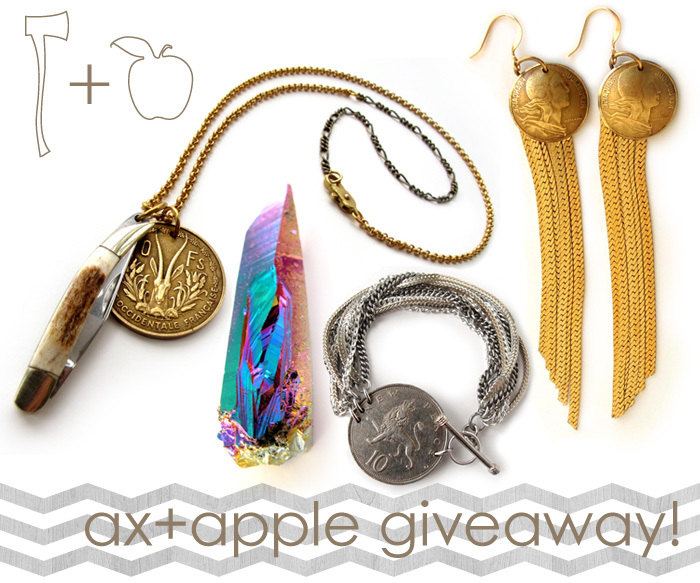 Ax + Apple Jewelry $75 GIVEAWAY! To kick off the 4th of July weekend, I am giving away $75 to one lucky ready to shop at Ax + Apple Jewelry! I've always been a huge fan of their one of a kind pieces. These beautiful jewelry designs by Texas natives, Jamie Lyn and Jessica Lynn, are made of vintage finds and put together with a modern touch. In sterling silver, brass, and steel, there is a rock n' roll boho edge to each piece. They ooze cool. Have a great weekend everyone! This giveaway will run through the weekend until Tuesday, July 5th!